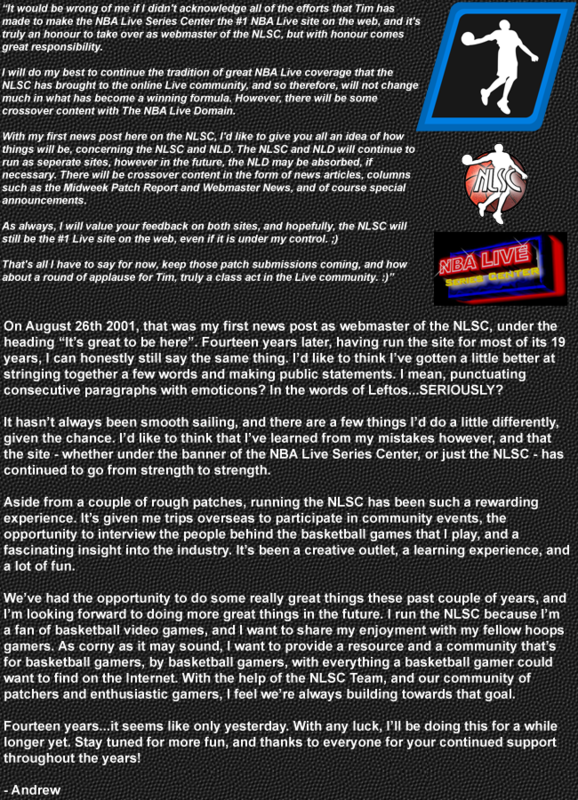 In the last couple of episodes of the NLSC Podcast, Arcane and I have gotten back to discussing what we’re doing with basketball video games each week, be it NBA Live 16, NBA 2K16, or both. If you’ve listened to Episode #145, you may recall that I mentioned that I’ve started both a Dynasty game in NBA Live 16, and a MyLEAGUE game in NBA 2K16. In each game’s franchise mode, I’ve elected to take control of the Chicago Bulls, and make one offseason move: signing Ben Gordon. On the surface, the more logical course of action would seem to be opting for completely different experiences in each game’s franchise mode. However, I thought that it would be interesting to see how the same approach would play out in each game, and how the results of each franchise game would ultimately compare to one another. Aside from differences in gameplay, MyLEAGUE is also a much deeper mode than Dynasty, which is likely to be a big factor in changing up the experience. So, as I look to tip off both franchise games, what are my expectations? If you caught Episode #144 of the NLSC Podcast, you’ll know that I went on a bit of a rant about a recent experience I had while playing NBA Live 16 online. In a nutshell, I had an opponent who was losing quit with a couple of seconds left in the fourth quarter, to avoid the loss and rob me of the win. Needless to say, I wasn’t exactly pleased by that turn of events. The word I used on the Podcast was “scumbag”, and I stand by that description. It was not the sporting thing to do, plain and simple. The matter of sportsmanship in online basketball gaming is an important one, and since podcasts aren’t everyone’s favourite medium, I’ve decided to write about it in this week’s Monday Tip-Off. Of course, the issue isn’t exclusive to basketball games, but when it comes to both major hoops titles, unfortunately there aren’t really any measures in place to prevent or at least discourage it. Don’t like the way things are going? Want to avoid picking up a loss? Then just quit, or cause a disconnection. Or preferably, don’t. To put it bluntly, it’s incredibly poor form, and shouldn’t be allowed. You may feel that it isn’t a big deal, that it’s just the way it goes with online play. I would strongly disagree with that assertion, however. This is something that both EA Sports and 2K Sports need to find a way to address, and behaviour that certain basketball gamers need to cut out. 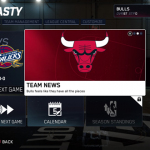 In last week’s Monday Tip-Off, I discussed how ratings have improved in NBA Live 16, with each week’s roster update. I mentioned that I hoped to see that trend continue, and made note of NBA 2K16’s Hall of Fame ratings scale as a concept that EA Sports should also consider adopting. 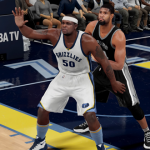 This week, I’d like to talk a little bit more about that revised approach to player ratings in NBA 2K16, as it’s also something that 2K Sports should definitely stick with. From the moment that the Hall of Fame ratings scale was mentioned during the preview season for NBA 2K16, it struck me as an excellent idea. There will never be universal agreement about player ratings, and supposedly “perfect” ratings won’t overcome gameplay quirks, but we obviously want ratings to be as accurate as possible. In devising the Hall of Fame concept, I believe that 2K has enhanced their ratings system with a fair and logical approach. 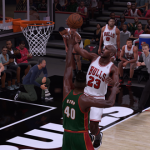 So, what is the Hall of Fame ratings scale, and why was I so pleased to see it adopted in NBA 2K16? 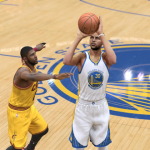 The official roster updates for NBA Live 16 haven’t exactly received universal acclaim so far. In addition to a couple of players still lacking proper faces, there have been lingering issues with missing players, incorrect jersey numbers, and other anomalies with player bio data, though subsequent updates have included several fixes on all those fronts. I do suspect that there may still be some issues with the update system that’s in place, and the lack of in-game roster editing functionality is sorely missed as a result. However, except for a couple of weeks over the holiday break, the weekly updates have been coming through consistently, and on time. Each week, the official NBA Live website spotlights the biggest movers and shakers in the latest roster update, and there have been some significant ratings changes since NBA Live 16’s launch. Generally speaking, I feel that some really good work has been done with the ratings in the NBA Live 16 roster updates, as the season has progressed. Having made unofficial roster updates for NBA Live for many years, I appreciate the constant balancing act of not getting too carried away boosting and decreasing ratings, and the pain of getting overall ratings to look “correct”, without skewering the individual ratings to make it happen. 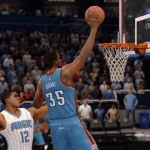 So, what stands out to me the most when it comes to the improved ratings in NBA Live 16? Based on past polls, mod releases, and general discussion, a majority of basketball gamers move on to the latest game in the series they play, usually within a couple of months of its release, if not immediately. 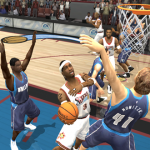 While retro gaming is a popular hobby, sports games generally aren’t an ideal genre for it. After all, most fans prefer to play with the latest rosters, and take advantage of the improvements and additions that are made year-to-year. As a result, sports games don’t move well in the second hand market, with lower trade-in prices owing to the annual releases, and less interest in playing them once they’re outdated. Of course, sometimes we do go back and play older basketball games. I’m sure we all have some old favourites that we can dust off and nostalgically enjoy despite their age, and certain titles do become classics. 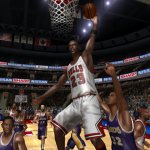 Arcade-oriented basketball games such as NBA Jam and NBA Street also tend to age a little better, since they’re adopting a more casual and less realistic approach to the sport in the first place. However, some of the best sim-oriented titles in the past decade or so also hold up respectably well. As such, if you have a new roster patch or an old season save game, an older title might still hold a lot of appeal. But then you’ve got basketball gamers who aren’t going back to older games; they haven’t stopped playing them in the first place. Whether it’s because they’re unable to upgrade, or don’t wish to upgrade, they shun the latest releases in favour of an older game. So, for this week’s Monday Tip-Off, I wanted to take a look at some of the reasons why we play old basketball video games. 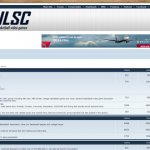 If you’ve browsed the NLSC Forum, chances are you’ve noticed our Basketball Video Game Stories section. It’s a place where you can entertain your fellow basketball gamers with ongoing coverage of your exploits in NBA Live and NBA 2K, whether you’re playing through the franchise or single player career modes. Over the years, we’ve had some very creative and popular story threads, many of which are now enshrined in our two Story Hall of Fame subsections, so that we can easily go back and enjoy them all over again. However, story threads have somewhat fallen out of fashion. While we still have gamers posting in the Basketball Video Game Stories section – and we certainly encourage everyone to make use of it, if they feel so inclined – it sadly seems that we’re past the heyday of the story thread. There are a few reasons for this, which I thought I’d explore in today’s Monday Tip-Off, in addition to shining a spotlight on the section and the practice of maintaining story threads in general. So, what are story threads all about, what was so enthralling about them, and why are they kind of becoming a thing of the past? In my first Friday Five of 2016, I mentioned that one of the things I wanted to do this year was get back into modding (or patching, to use the term that was originally popular in our community). While I’ve shifted towards creating other types of content in recent years, the lure of modding as a creative outlet can be relatively strong at times. As I said in the Five, I don’t think I’ll ever be as prolific as I once was, or sometimes wish that I could be, but I’d like to try and get a little more involved with modding once again. Of course, there are several reasons that I’ve stepped away from modding in recent years. They’re the same reasons that most modders come and go as the years pass in our community, though since I’m running the NLSC and have found other content that I enjoy producing, I’m obviously still around. With my intention of getting back into modding every now and again, I wanted to talk a little about some of those reasons why modders stop modding. Aside from answering a few questions about why I’m not making roster updates anymore, I’m hoping that it can facilitate a little more understanding in the community, and make the modding scene a friendlier place. So…why do modders call it quits? 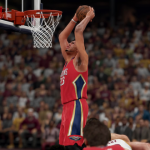 ‘Tis the season to make Wishlists…both in the sense that development is well under way for both NBA Live 17 and NBA 2K17, and the fact that for those who celebrate it, Christmas is almost upon us. For some of you, one or both of this year’s games might be in your stocking, but at this point, you probably know what to expect when you get a hold of them. The visions of the NBA video games that dance in our heads – not unlike the sugar-plums that Clement Clarke Moore wrote about – likely won’t be coming to fruition just yet. 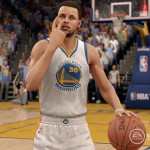 In interviews with us and other websites, NBA Live Executive Producer Sean O’Brien has talked about wishing he could take the game he sees in his mind, and immediately give it to us. 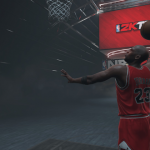 At the same time, I have to imagine that for Leftos and the rest of the guys at Visual Concepts, the gears in their heads are always turning, as they think of ways to make NBA 2K even bigger and better. And of course, we basketball gamers can come up with some creative ideas as well. To that end, for this week’s Monday Tip-Off, I wanted to talk about my vision of the ultimate NBA video game. I want to keep things as practical as possible, but for the sake of fantasy and what-ifs, I’m also going to assume that the available technology can handle all of the concepts competently, and that licensing, likeness rights and so on would not be an issue. With that said, what would my ultimate NBA video game be like? “If you cheat, you’re only cheating yourself.” It may sound like a trite and corny saying these days, but it still holds merit. There are times when it’s fun to use cheat codes or hack a game, and a lot of old school games all but require hint books and walkthroughs, but playing “legit” tends to be the more rewarding experience. Still, if you really want to cheat or cut corners in a single player experience, and you’re having fun doing so, so be it. Even if you do find that it gets boring after a while, you’ve only spoiled your own experience. No harm done, and you can just start all over again. Of course, it’s a different story once you bring a second player into the mix. 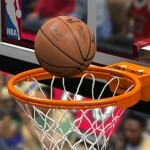 The connected experience is a big part of basketball games these days, and something that a lot of gamers really enjoy. However, more and more often, I’m seeing complaints from basketball gamers whose experience has been affected by people cheating online, generally through the use of hacked players in MyPARK. In turn, gamers with hacked players have defended the practice, and dismissed the complaints as petty whining. It’s a controversial practice and a divisive subject, so I thought it was definitely worth taking a look at. As I’ve mentioned in previous editions of The Friday Five and on the NLSC Podcast, I’ve become a fan of Ultimate Team since it finally made its debut in the NBA Live series in NBA Live 14. With Dynasty Mode and Rising Star still needing to be fleshed out into deeper experiences, Ultimate Team has pretty much been my mode of choice in NBA Live these past few years. I’ve also taken an interest in MyTEAM in NBA 2K, but I do prefer EA’s approach to the concept, and 2K has a lot more to offer in its other modes. 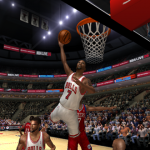 Of course, MyTEAM does have one distinct advantage over Ultimate Team, for me at least: Michael Jordan. 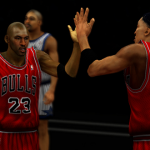 Needless to say, when I drew a Michael Jordan card in NBA 2K14’s MyTEAM, I was pretty happy. 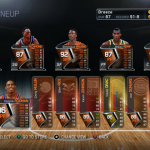 With my nostalgia for the players of the 1990s – the era I grew up watching – I also had a lot of fun putting together a 90s squad for my Ultimate Team in NBA Live 15. However, I’ve yet to construct my ultimate fantasy team in either game, though it would currently only be feasible in NBA 2K. I thought I’d tip things off this week by sharing that lineup with you all. Just in case my intended tone has been lost in writing…no, of course I don’t actually believe that. I do love basketball, and I’d like to think that I have a fairly good knowledge of the sport. I believe I have at least a basic understanding of all the ins and outs, and in turn, that makes me a little more than competent when it comes to playing basketball video games. I’m a lot better when it comes to playing against the CPU, as that’s mostly what I do. I’ve had some record-breaking seasons playing on harder difficulty levels, but when it comes to playing online, I’m probably just a little better than OK. As I’ve said many times before, online is not my mode of choice, so that shouldn’t come as a surprise. August 26th marked my fourteenth year running the NLSC; you may have seen my post celebrating the occasion in the Forum, or on our social media pages. I’d like to think that I’ve done a good job over the years – I’ve certainly tried my best – and improved in the role along the way. Creating content for the NLSC can be time consuming and at times arduous, but it’s something I do enjoy. I also enjoy taking part in the Forum, but that also involves a task that can be even tougher: moderating. That is to stay, it’s the approach and philosophy of moderating that can be tough. Performing the actual functions of moderating is certainly straightforward enough. However, there’s a delicate balance to maintain, when the aim is to foster a welcoming and friendly community that is as drama-free as possible, while also allowing everyone to speak freely and not feel bullied by the moderators. So, to tip things off this week, I wanted to give everyone a bit of an insight into how we try to maintain that balance. As a gamer, I tend to stick with the genres and video game series that I’m interested in, and familiar with. I don’t buy a lot of brand new releases every year, so my gaming rotation is usually comprised of the latest version of NBA Live and NBA 2K, the latest WWE game, a favourite that may be at least a few years old, and the occasional big release if it’s one that I’m interested in (such as Grand Theft Auto V, a couple of years back). If I happen to pick up something cheap in a Steam/Green Man Gaming/GOG sale, it’ll probably work its way into the rotation at some point, too. To that end, 2015 has actually been a bigger year than normal for me, in terms of gaming purchases. In addition to NBA Live 16, NBA 2K16, and WWE 2K16 – the series I pick up annually – there’s also been Mortal Kombat X and Fallout 4. On top of that, I picked up the PC version of Grand Theft Auto V, to give me something else to play on my new gaming rig. While MK X came out earlier this year, everything else was released (or in the case of GTA V PC, picked up) around the same time. The result is a handful of AAA games that you can potentially spend a lot of time with, all vying for time in my gaming rotation. As you’re no doubt aware from our regular file additions bulletins, we have a very talented and enthusiastic modding community here at the NLSC. We’ve been able to do some great things throughout the years, not only keeping games up to date, but creating new experiences, and even fixing some annoying problems. We can be proud of what we’ve accomplished in our community in terms of modding, and I’m sure we can look forward to many more fantastic releases in the future. However, while I’ll gladly sing the praises of our community, and I truly believe that we have a good thing going here, there is a darker, more unpleasant side to modding culture. There’s a lot of talent and creativity in our community, which is great, but unfortunately where there’s talent and creativity, there’s often ego. While there’s nothing wrong with having a healthy ego, there are some people who take it too far. That’s when it becomes a problem, and people become difficult to deal with. Sometimes, the problem simply lies with the individual. Some people are arrogant, rude, and difficult. There’s not a whole lot that you can do about that. However, there are also ingrained aspects of the modding culture we’ve cultivated which contribute to the problem. Difficult individuals are unlikely to change their ways, but as a community, we can work together to develop new attitudes and fresh approaches that benefit the modding community. That’s what I’d like to talk about today.